Located on 155 Richmond Terrace, Staten Island, New York. Consultant- AKRF. Owner- New York Wheel LLC. Ferris Wheel Complex. 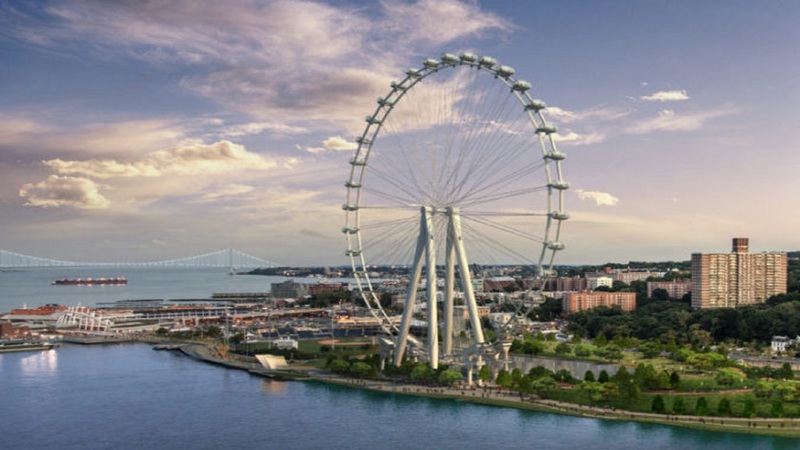 630 FT High Wheel. 4-story accessory commercial building. 420,000 total square footage. Exhibition spaces, ticketing offices, security screening and garage with 950 parking spaces. Retrofit of adjacent and connecting Richmond Terrace. Vehicular ramps. Bus terminal crash barrier and earth retention systems.